Taipei, Taiwan – April 3, 2019 −− Kingston Technology, a world leader in memory products and technology solutions, announced today the 32GB, 16GB and 8GB Server Premier DDR4-2933 Registered DIMMs have received validation on the Intel Purley Platform, featuring the Intel® Xeon®Scalable processor family (formerly known as “Cascade Lake-SP”). A link to the validation page can be found here. For over three decades, Kingston has been the memory brand that customers choose to power their data centers. 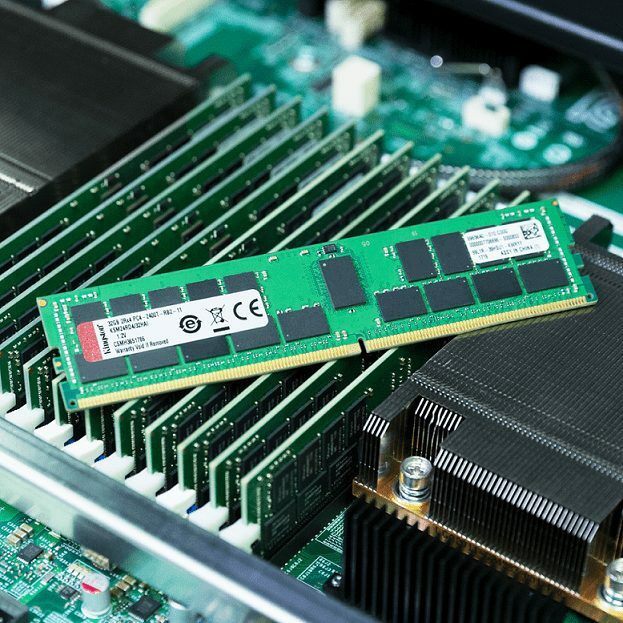 Server Premier memory features a locked BOM (Bill of Materials) to ensure a consistent brand and revision of DRAM and undergoes rigorous, dynamic burn-in testing designed to root out early-life failures at the factory before being shipped out. A key component of the production test process is that Kingston simulates customer workloads on the very same motherboards that are found in their data centers. Kingston Technology is a world leader in memory products and technology solutions. Through its global network of subsidiaries, affiliates and manufacturing facilities, Kingston designs, manufactures, tests and distributes DRAM, Flash and Embedded memory solutions as well as peripheral products via its HyperX gaming brand. Kingston has sales offices and representatives worldwide including in the United States, Canada, China, Europe, Eastern Europe, India, Latin America, Russia and Taiwan. For more information, please visit www.kingston.com.